The U.S. has counted more measles cases in the first two months of this year than in all of 2017 — and part of the rising threat is misinformation that makes some parents balk at a crucial vaccine, federal health officials told Congress Wednesday. 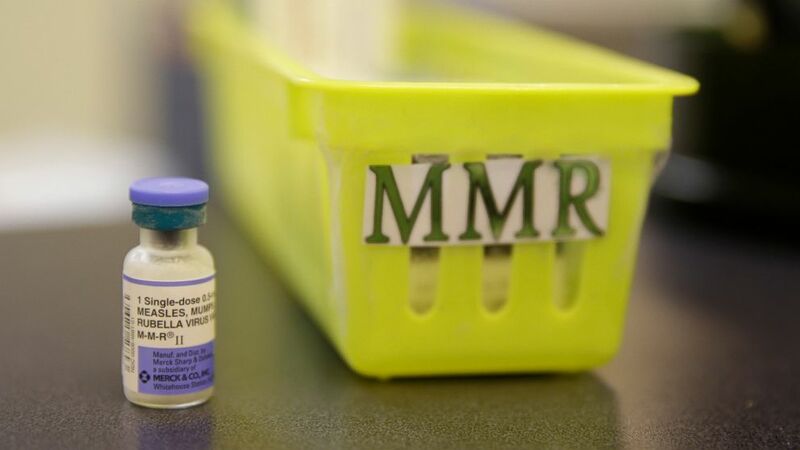 Yet the vaccine is hugely effective and very safe — so the rise of measles cases "is really unacceptable," said Dr. Anthony Fauci, infectious disease chief at the National Institutes of Health. Republican and Democratic lawmakers at the House Energy and Commerce subcommittee hearing bemoaned what's called "vaccine hesitancy," meaning when people refuse or delay vaccinations. "These outbreaks are tragic since they're completely avoidable," said Rep. Brett Guthrie, R-Ky.
"This is a public health problem for which science has already provided a solution," agreed Rep. Frank Pallone, D-N.J. While it's rare in the U.S., 1 or 2 of every 1,000 children who get measles dies, according to the Centers for Disease Control and Prevention. The virus can live for up to two hours in the air or on nearby surfaces. Nine of 10 unvaccinated people who come into contact with someone with measles will catch it. Fauci called it "one of the most contagious viruses known to man." But measles is far more common around the world — the World Health Organization said it claimed 110,000 lives in 2017. The WHO says there's been a 30 percent increase in measles cases in recent years. Unvaccinated Americans traveling abroad, or foreign visitors here, can easily bring in the virus. For example, a huge outbreak in Madagascar has caused more than 68,000 illnesses and 900 deaths since September. But you don't need to go as far as Madagascar — common tourist destinations like England, France, Italy and Greece had measles outbreaks last year, noted CDC's Dr. Nancy Messonnier. Nearly 83,000 people contracted measles in Europe in 2018, the highest number in a decade. But the CDC says 1 in 12 children doesn't receive the first dose on time, and in some places vaccination rates are far lower than the national average. For example, an outbreak in Washington state is linked to a community where only about 80 percent of children were properly vaccinated.